Flying Laser Marking Printing Machine 30W is laser marking printer especially matched for the automatic production line for flying printing & marking for the date codes or barcodes. 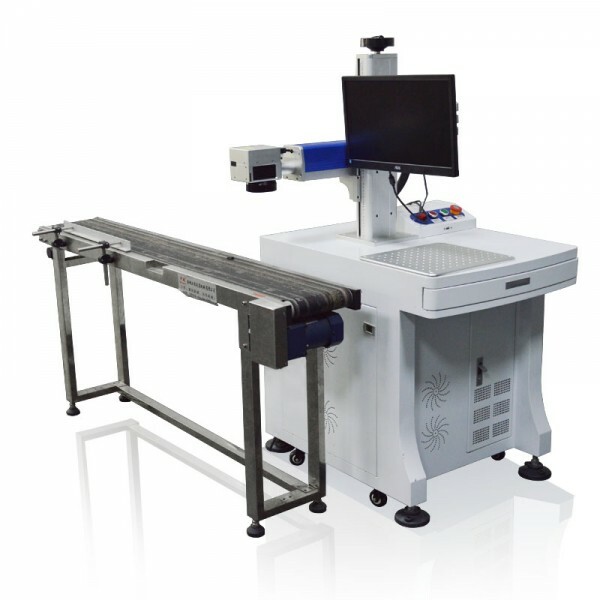 Compared to the traditional inkjet printer, Flying Laser marking printer has zero consumption of any materials, no need ink, no pollution, no noise, energy saving and environmental protective. The MT-OL Series Flying Laser Marking Printer can be equipped with different kinds of laser sources (fiber, co2, or UV) and printer system. 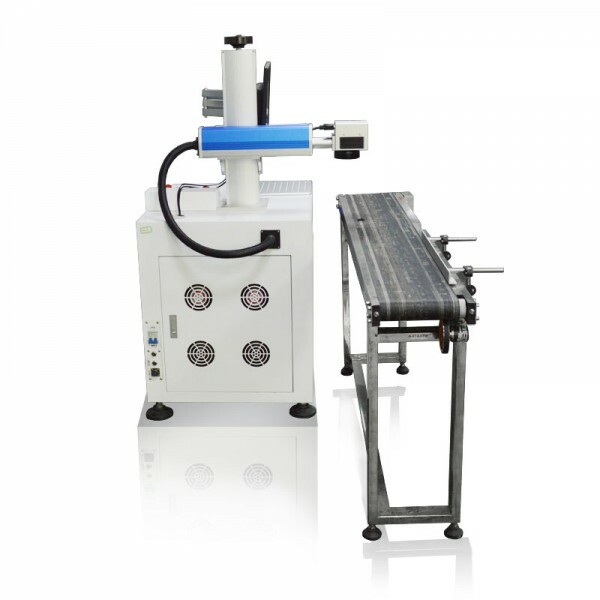 It can be widely used in food and beverage, pharmaceutical, tobacco, leather industry. This is the 30W fiber source flying laser marking printer, it could be used for metal and nonmetal flying marking combined with various kinds of the production line. 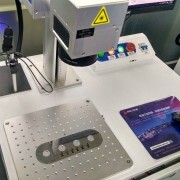 There is another co2 laser source online laser marking printer available especially for nonmetal materials’ online marking. 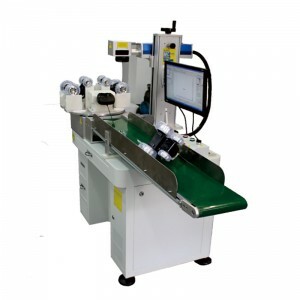 Compared to the traditional inkjet printer, the laser printer is low material consumption, no pollution, no noise, energy saving and environmental protection, simple operation, stable performance, long lifetime, low maintenance cost.The machine is available in flying marking in the production line for big quantity the same products. 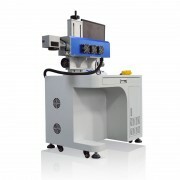 The machine can be widely used in food and beverage,pharmaceutable, tobacco, leather, package, building materials, lighting, accessories, cosmetics, electronics,kitchen&bathroom hardware, shells of cell phone and watches, medical apparatus and instruments, tubular product, cable, plastic, cable and other industries. 1. 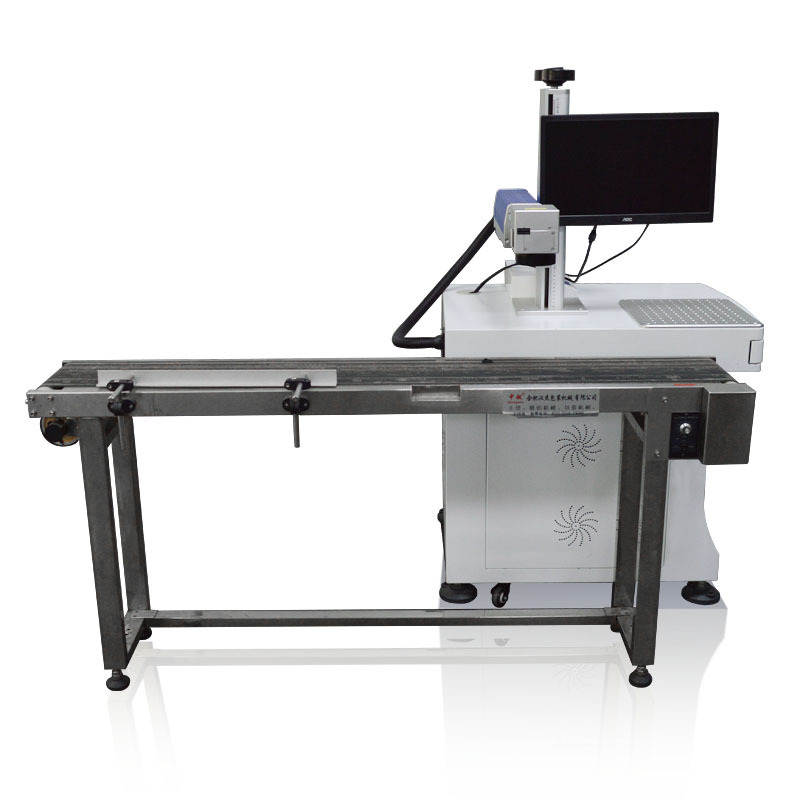 The whole fly fiber laser marking engraving machine‘s warranty is 1 year. Any parts have a quality problem during the warranty period, We will send you a new replacement for free. And Customer affords the replacement shipping cost. 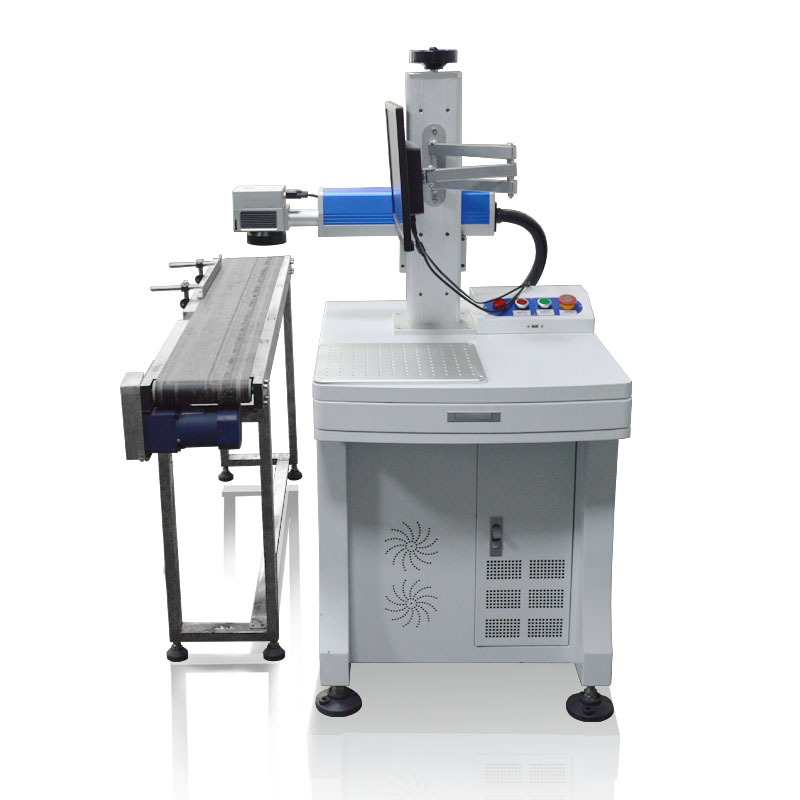 The MT-OL Series Flying Laser Machine can be equipped with the different laser source(fiber, co2 or UV).